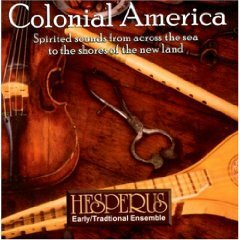 The vision of Hesperus is innovative, multi-cultural and historically informed early music ensemble. With impressive credentials in early music, they are also one of the nation's first, and most important, performers of "chamber folk" music which brings the energy and spirit of traditional Celtic and Irish music to virtuoso performances on early musical instruments. The members of Hesperus have performed in the prestigious Washington D.C. Folger Consort at Washington D.C.'s Folger Shakespeare Library. 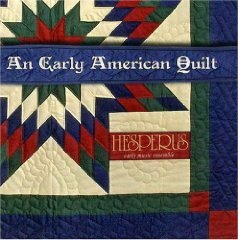 The group has created the Early American Music series for the Maggie's music label--best sellers in their genre and featured in museums stores such as America's Smithsonian Institute and Colonial Williamsburg. 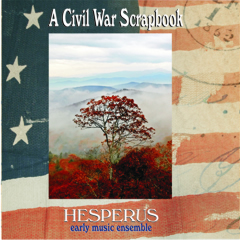 Tina Chancey is music director of Hesperus. 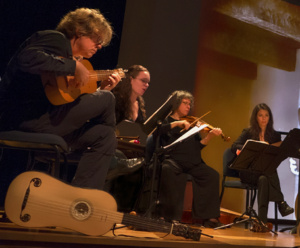 A multi-instrumentalist specializing in early bowed strings from the rebec and vielle to the kamenj, viol and lyra, she has received grants from the National Endowment for the Arts to support solo performances on the pardessus de viole at the Kennedy Center and Weil Recital Hall at Carnegie Hall. Dr. Chancey received her PhD in Musicology from the Union Institute. Her articles on early music appear in scholarly and popular publications, and she has recorded for a score of labels from Arabesque to Windham Hill. "The ultimate crossover group...a postmodern medley of fun"